I believe that happiness and sadness are tangled to one another. One can never exist without the other. And there is no absolute happiness or sadness. At the very least, that is what I want to believe. Though most people think that love is identical with happiness, I personally think that it is not completely true. Well, people can be in love yet feel sad at the same time. And it doesn’t mean that they love less or insincere. On the other hand, it means that they actually love deep; so deep that they cannot help but feeling sad towards anything that may happen in the future of their love. It means that they actually love sincerely; so sincere that they cannot help but feeling sad towards everything that may harm and break the love. Though most people think that sadness is identical with tears, I personally think that it is not completely right. Well, there are those tears of joy. And it doesn’t mean those people who cry out of joy are less happy or insincerely happy. On the other hand, it means they are actually deeply happy; so deep that they cannot help but shedding tears emotionally. It means that they are actually sincerely happy; so sincere that they cannot help but crying as they are being grateful for the happiness. And most of the time, there are songs that could make you shed tears through its sadness atmosphere. This is the second part of Ultimate Sad Songs series: a list of my own version on seven saddest songs from Western male vocalist. The list starter is the eternal love song performed by Irish boy band, Boyzone, titled “Every Day I Love You, on number seven. The pop ballad track was recorded in 1999 and released as the final single before the group’s initial split in 2000. It was written by Gary Baker, Frank Joseph Myers and Jerry Allan Williams. Yup, this is a super sweet and romantic song; it is so romantic that I cannot help but feeling touched and sad whenever I listen to this song. 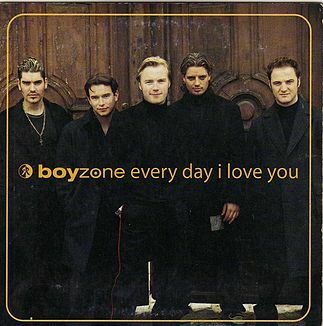 The sound of the song’s melody and the vocals’ harmonization from the men of Boyzone are just too beautiful to be true. It is heartwarming and heart-wrenching at the same time; a kind of song that could make you shed a tear of blessed. It’s a beautiful sadness as the lyrics tell about a man who feels truly blessed and grateful for meeting and having his significant other beside him. With all of his sincerity, he confesses that every day he loves her, with all of his heart. 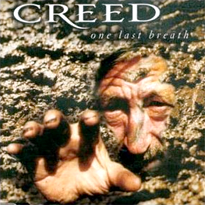 Next on number six is the signature song from American rock band, Creed, titled “One Last Breath”. The post-grunge rock ballad track was written by Mark Tremonti and Scott Stapp, and was released as a single in 2002 taken from the band’s third studio album, “Weathered”. With its signature guitar melody intro, the song shows a masculine sadness, when the lyrics speak about a man who feels lost like he is standing at the edge of breaking down. Losing his significant other has driven him to the edge for one last breath. And the only thing that could save him is his holding on to his anchor. Hence he is begging for the anchor to come back to him. A song from the Irish boy band, Westlife, titled “Fragile Heart”, is on number five of the list. It was released in 2002 for their second studio album, “Coast to Coast”. The ballad track was written by the group’s members Brian McFadden, Kian Egan, and Shane Filan. Whenever I listen to this song, I feel the heartwarming and heart-wrenching feeling at the same time, since the song’s lyrics tell about a man who comes clean towards his significant other. He confesses that he was broken and in pain before, yet at the same time he convinces his significant other to move on with him. His heart is fragile, and so is her heart. He understand it all too well how to cope with a fragile heart and mend it. Hence he reaches out his hands toward his significant other in order to face the harsh world together. Since life is just too precious to spend it in despair. Up on number four on the list, I have “Better Man”, performed by the British singer Robbie Williams. The soft rock track was recorded in 2000. In 2001, it was released as the last single taken from the singer’s third studio album, “Sing When You’re Winning”. It was written by Williams himself along with his producer, Guy Chambers. As the lyrics follow the story of a man who reflects on his life, I cannot help but feeling teary every time I listen to this song. This song has this kind of atmosphere that could make me looking back at my life and time that I’ve been through so far. After all, we’re just human and we can only do our best to be a better man each day. We can only do our best to live our life in our every single day instead of just trying to survive day by day. Opening up the big three of the list is a classic hit performed by the German rock band, Scorpions, titled “Still Loving You”, on number three. It was released in 1984 as the second single from the band’s ninth studio album, “Love at First Sting”. The hard rock ballad track was written by Rudolf Schenker and Klaus Meine. My Mom and Dad are big fans of Scorpions hence I grew up with this song. I always think that this is a sad song since I was a little kid, even though at that time I could not understand the meaning of its lyrics yet. Now that I know, well, it is indeed a sad song; a masculine sad song. 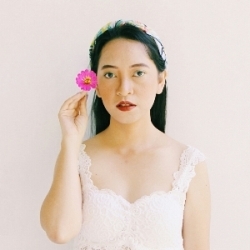 This is a song about love; where a man who has lost his significant other because of his own mistake tries to gain back her trust and ask her to start all over again with him. And it is all simply because he is still loving her, deeply. 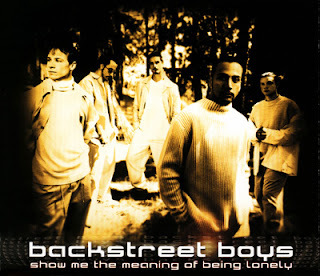 On the runner-up position is “Show Me the Meaning of Being Lonely” by American boy band Backstreet Boys. The latin pop R n’ B ballad track was written by Max Martin and Herbie Crichlow. It was released in 1999 for the group’s third studio album, “Millennium”. With the lyrics are telling about missing someone that we love deeply and asking the meaning of living a lonely life, this song successfully captured my heart since the first time I heard it back when I was a teenager. 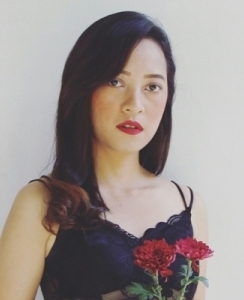 Through this sad song, we can feel the hollow of losing our significant other. 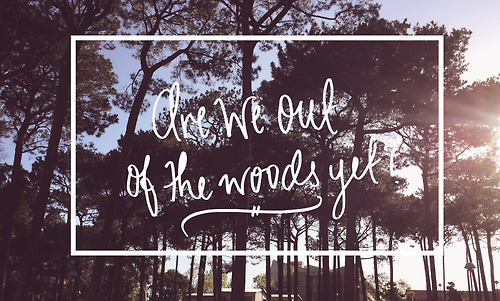 We can feel the emptiness of longing for our significant other. And in the end of the day, we keep asking the meaning of being lonely and why can’t we be together with our beloved ones. Here we are on the top of the list; I have “In Loving Memory” by American rock band Alter Bridge, on number one. It was released in 2004 for the band’s debut studio album, “One Day Remains”. 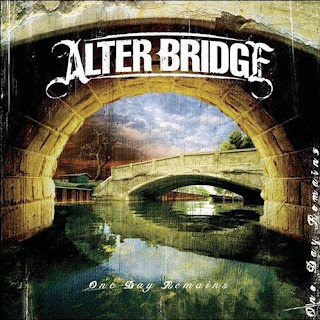 This rock ballad track was written by the band’s guitarist, Mark Tremonti, to commemorate the death of his mother. He wrote and composed this song along with his band members Myles Kennedy, Brian Marshall, and Scott Phillips. It also features string arrangements by David Campbell. This song has a deep meaning for me, hence I actually feel lost about anything to say regarding to this song. This is the song that helped me through those times when I lost my Grandpa in 2007 and my Granny in 2015. I cried my heart out at that time while listening to this song. It is a sad song, indeed, yet it is also an uplifting song at the same time; since the lyrics follow the story of a man who feels longing for the beloved one who has gone, reminisces those beautiful loving memories they shared as letting go of that person to rest in peace. And in the end, he accepts that even though that person isn’t there anymore physically, the spirit still lives on with him; forever and always.